Do you need that bit extra? Extra loudness, presence, punch? Look no further. 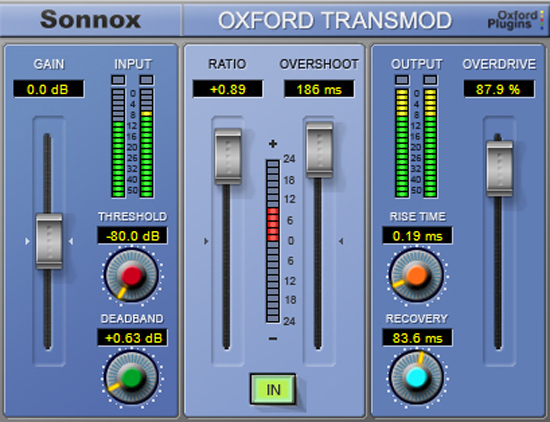 The Sonnox Enhance Collection contains three simple-to-use, but incredibly powerful plug-ins, to enhance your mix and give it the energy it deserves to be heard above the rest. No matter how limited and crushed program material already is, the Inflator will provide even more loudness. It will even add apparent volume to a full scale white noise signal, or add musicality to previously clipped signals. Used more subtly, it can add natural warmth and character to acoustic or jazz mixes. Use it on single instruments to add presence, softness and depth, or use it on percussion and drum tracks to produce amazing dynamic presence, tightness and volume. The full dynamics of the program is largely preserved but with an increase in the average modulation density. The application was developed to address the common situation where there is a need to selectively tighten up percussive instruments or soften the unwanted percussive effects of acoustic musical instruments. Such effects are easily achieved with the Transient Modulator because its purpose-designed adaptive processing acts on differential information in the program so that the overall long-term program level is minimally affected and sensitivity to control parameters is drastically reduced. 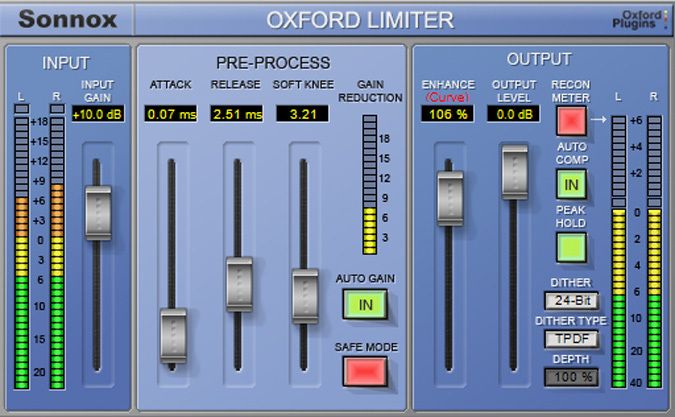 The Oxford Limiter has been developed from decades of professional audio experience to provide a very high degree of quality and facility in program loudness control and limiting functions. By employing highly accurate logarithmic side chain processing, along with innovative adaptive timing functionality using look ahead signal acquisition, the limiter provides exemplary performance, whether one is seeking general transparent level control, program loudness maximization or heavily applied artistic sound effects. Unique processing in the form of the Enhance function provides the sample value limiting needed to reliably avoid overloads in digital workstation environments and allows unprecedented volume and punch to be applied to program beyond that available from conventional limiting functions. Comprehensive metering is provided which displays not only conventional peak sample value, but additionally allows the user to monitor the true validity of the program in order to avoid the generation of damaging reconstruction overloads in the target equipment which are often invisible during production (sometimes termed 'inter sample peaks'). 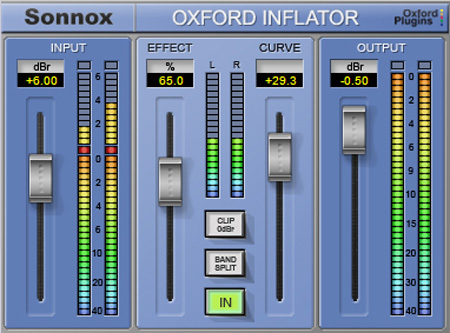 Sonnox AAX Version 2 installers will install 32-bit and 64-bit versions, for use with Pro Tools 10 and Pro Tools 11/12 respectively. SuprEsser DS compatible with ProTools 10 / 11 / 12 / S3L with approved ProTools CPU, OS and hardware configuration. Go to AVID.COM to find more information.